Join now to receive all the new music Dementio13 and The Night Programme creates, including this release and 9 back-catalog releases, delivered instantly to you via the Bandcamp app for iOS and Android. You’ll also get access to supporter-only exclusives. Learn more. A collection of collaborations between Dementio13 and valued like-minded artists. Many, many thanks to the artists involved for lending their talents to this release. Please do check out their music also. "Beat, texture and composition are at the centre of every track on VTOL. Each song is expansive but the mix gives each layer a chance to shimmer. Dementio13 is an artist in demand for his precisely constructed chaos." 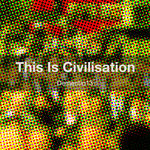 "Another truly superb record from a consistently forward-looking artist. Top whack malarkey." 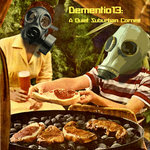 "As I've said on more than one occasion, the most pleasing thing about Dementio13's work is its sumptuous variety: not for him an easily tagged album of trance or synth-pop or drum n bass; instead, you're likely to find all of these and much more thrown into a pot heaving with vitality and groaning with epicurean delight." "Dementio13 has now built up a reputation for releasing some truly innovative album projects that encompass the qualities of Krautrock, ambient electronica and pop culture, and pieces them together to create some unnervingly sophisticated music. “VTOL” on first hearing is, thankfully, no exception."